Pupils from Timmergreens Primary and Lady Loan Primary attended Arbroath FC on Wednesday 13th March for a day of Show Racism the Red Card Scotland activities. This is the first time the charity has visited Arbroath for an educational event with primary pupils. The young people took part in workshops in the morning exploring the meaning of racism and the consequences of stereotyping. They also discussed acceptable and unacceptable language, and learned about a refugees story. This was followed by a tour of Arbroath FC, the young people even got to enjoy a kick about on the pitch! 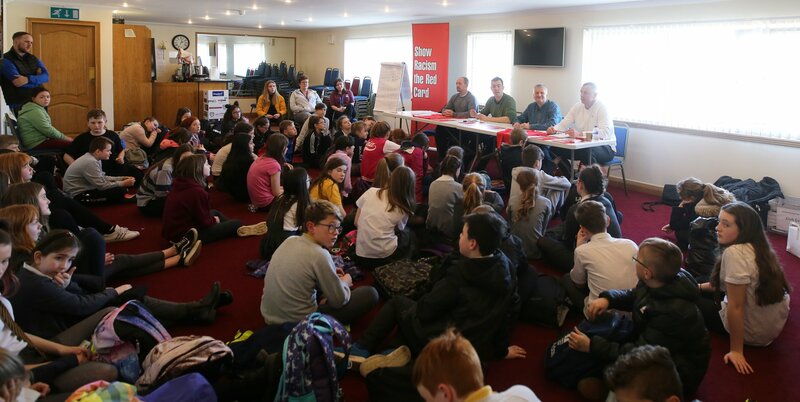 During the afternoon session the pupils were joined by Club Chairman Mike Caird and goal keeping coach Robert Douglas who made up the panel for a Q and A session along with Derek Ferguson from SRtRC. The pupils had the opportunity to act as media journalists as part of a role play activity and posed some tough questions to the panel who were able to reiterate positive messages of equality and respect. 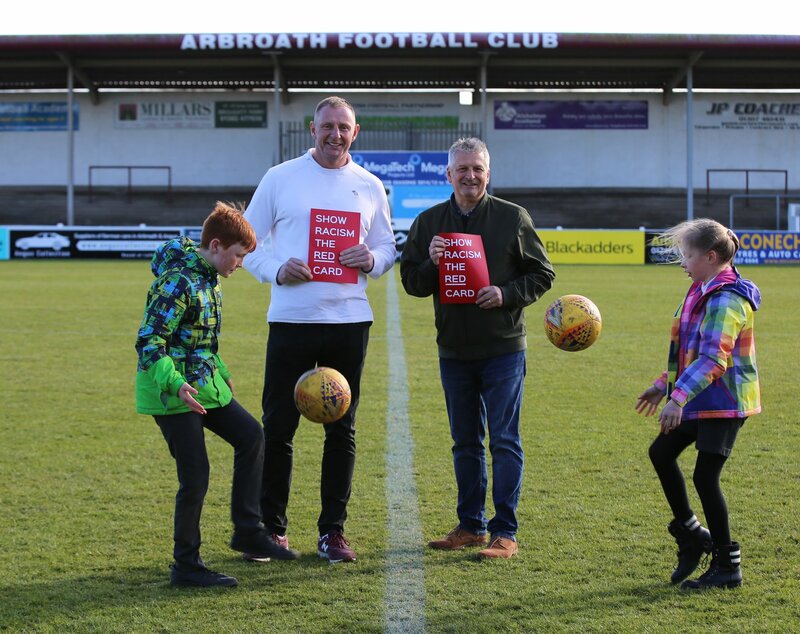 “Arbroath FC is a community club and we were delighted to welcome local pupils from Timmergreens Primary and Lady Loan Primary to Gayfield on Wednesday to a special educational event by Show Racism the Red Card Scotland. Arbroath FC would like to thank Show Racism the Red Card Scotland for putting on this brilliant event and both Timmergreens Primary School and Ladyloan Primary School for attending. Arbroath vs Raith Rovers – New Date – Sunday 21st April 2019 – 4.05pm kick off.